Serving size 1 oz (about 11 chips). Ingredients: Potatoes, Vegetable Oil (Sunflower Corn and/or Canola Oil), Tapatio Limon Seasoning, Modified Corn Starch, Monosodium Glutamate, Garlic Powder, and Artificial Flavor (Including Red 40 Lake, Yellow 6 Lake). Product of Frito-Lay, Inc. 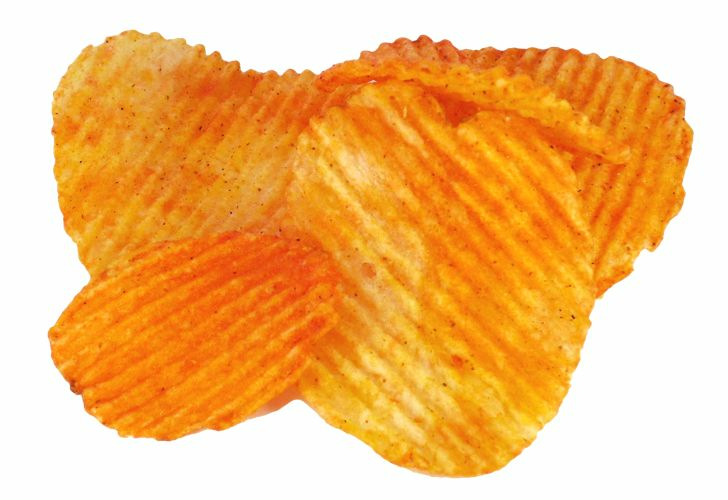 It's hard for me to find a good chip. I'm picky. My hubby purchased these for me one day when he was out because he knows I love hot sauce and I'm always looking for a good "hot" snack. Well, these were FANTASTIC! They are bursting with flavor- Not too hot, but just the right amount and you can taste that tad of lime. I immediately googled them and found this site. I'm buying more! I recommend these for sure. YUMMY!!! Love the flavor of these chips. Very addicting! 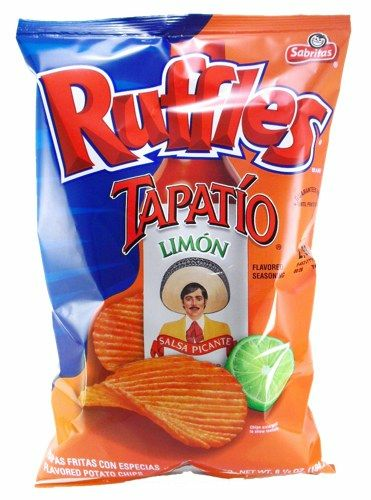 amazing chip but not sold everywhere, if you see this at the store you need to pick it up! I like Tapatio Hot Sauce so much that when ever I go to my favorite Mexican restaurant, I always carry my own quart size bottle with me. When I discovered Mexgrocer.com was selling Tapatio flavored snacks, I just knew I was going to have to try them all. Of all those I tried, this was my favorite. They're not very hot but they have a wonderful taste. They also go well with creamy dips. Try them, I'm sure you'll like them. These are the best chips out there! If you haven't tried them, you should!